Restaurant in Hermanus boasting a wondrous South African style menu, with seafood and food & wine options. Oysters available all year round. If you are searching for Hermanus restaurants and you happen to find our listing on Google, you are in danger of getting more than what you’re looking for my friend. Enter a new experience, not only for your taste buds, but an all inclusive sensation. At Moody Lagoon, you will be seated where the Hottentots-Holland Mountains meet the South Atlantic Ocean, breathe the rich air weighted by the water of the Botrivier Lagoon, and taste the fresh and opulent produce of the homeland. The restaurant owns a spectacular elevated setting at Benguela Cove’s winery, with gorgeous and expansive views. Dishes are prepared and designed by the unnaturally talented and nothing less than passionate Chef Annie Badenhorst. Providing you with your choice of delicious seafood and food & wine pairing options. A delightful and harmonious atmosphere can be expected for anyone looking to relax and escape from the hustle and bustle of urban life. 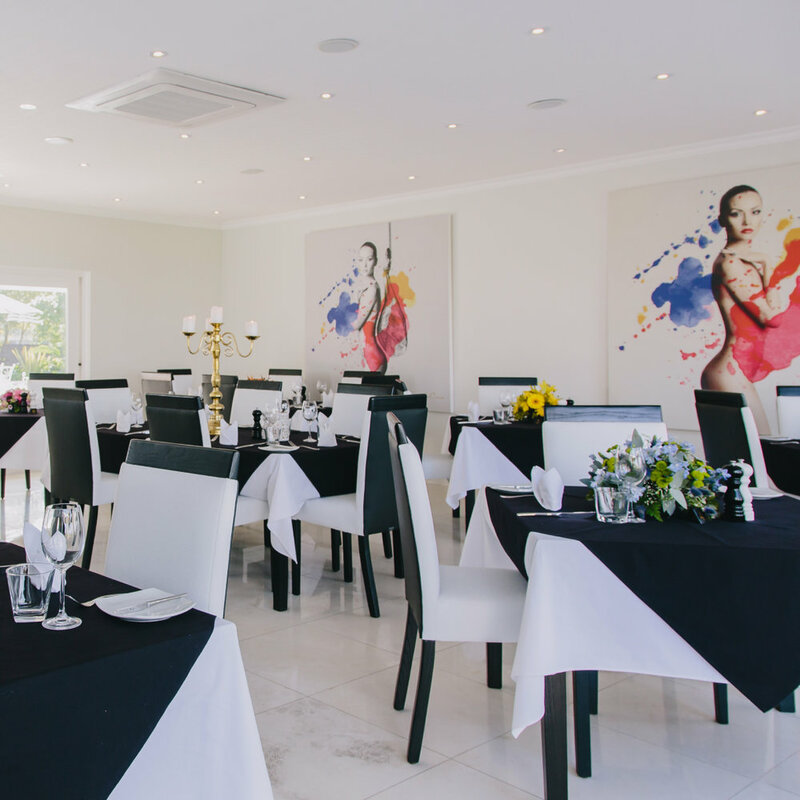 Book a table today and enjoy casual alfresco dining at our delightful Moody Lagoon restaurant in Hermanus. Our menus change based on fresh seasonal produce and the best ingredients we can get. We can accommodate most dietary requirements. Please inform us of any serious allergies. A discretionary service charge of 12% will be added to tables of 6 or more. To be enjoyed by the whole table. Our menu changes based on fresh seasonal produce and the best ingredients we can get. We can accommodate most dietary requirements Please inform us of any serious allergies. A discretionary service charge of 12% will be added to tables of 6 or more. Buy any bottle of Benguela Cove Estate Wines and get a 2nd bottle free to take home. Buy any main course and get a starter or dessert free. Order a main course and get a kids meal free. Complimentary glass of Benguela Cove Bubbly with every two-course meal purchased.